You can find us on Long Street in Cape Town and Fourways in Johannesburg. Relax and enjoy our contemporary beer hall with its 25 taps and our legendary ’99 Bottles’ of the best local and international beer. Our emphasis is the curation of beers and a service standard that sets the trend in the hospitality industry. Our beer is served by the most knowledgeable and passionate staff in the industry, and our food is crafted by an internationally experienced kitchen team specifically to compliment our large beer variety. We see ourselves as a hub for all things beer, and we strive to incubate the ideals of craft while supporting local micro-breweries and giving them a podium to shine on and to deliver their qualities to the world. Welcome to the Beer Revolution. Thanks to our dedicated BeerLovers, we have sold all of our donated beer for this years Pint for a Purpose project. 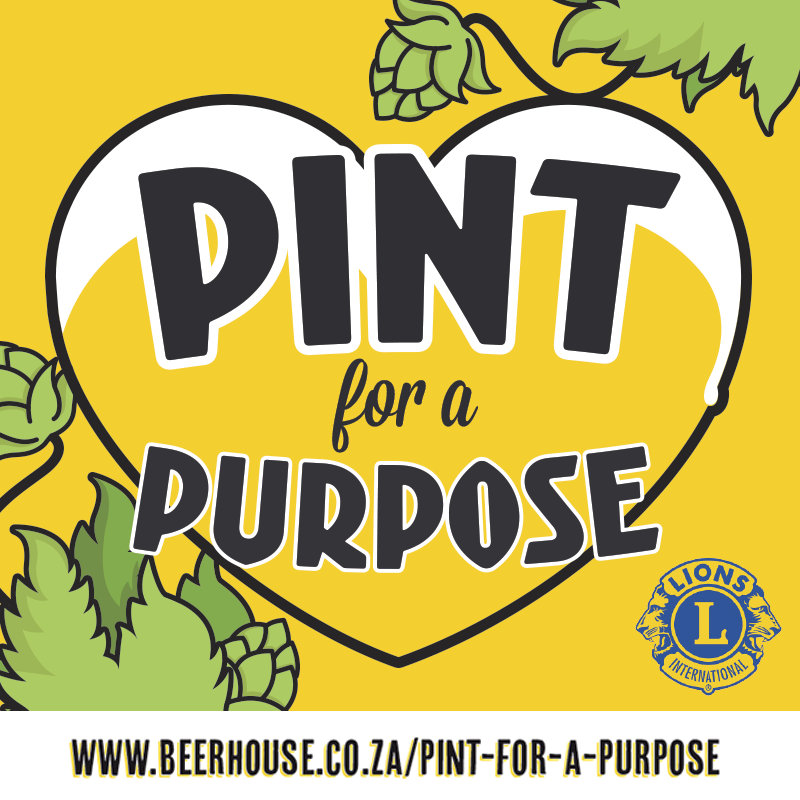 Pint for a Purpose is a project started by the Beerhouse team in July 2014, since then we have raised money towards our charity partners De Tyger Leo Club and Tygerberg Hills Lions Club soup kitchens, feeding schemes and eye screenings in our local community based in the Cape Town area. This year we brought Pint for a Purpose to Johannesburg and partnered with the Midrand Lions Club. To learn more about the good work the Lions Clubs do in South Africa click HERE. Together with our brewers and you, the BeerLover, we have raised a total of R9 391.30 at Beerhouse Fourways and R18 460.52 at Beerhouse on Long. The Beerhouse Team together with the Midrand Lions Club plan to do a refurbishment of a local educare in the Tembisa area. To read more about this project click HERE. In Cape Town the teams have been working on an eye-screening project where they have successfully screened 495 pupils of the Vrije Zee Preparatory School of which 146 pupils needed to go for further screening to determine whether or not they will need spectacles. The aim of this eye-screening project is to give children the access to their education and unlock their potential in the classroom. As we can see from the statistics, 1 in every 3 children have issues with their sight. Read more about this project HERE. Thank you to everyone who is involved in this project, and we look forward to Pints for a Purpose 2019! 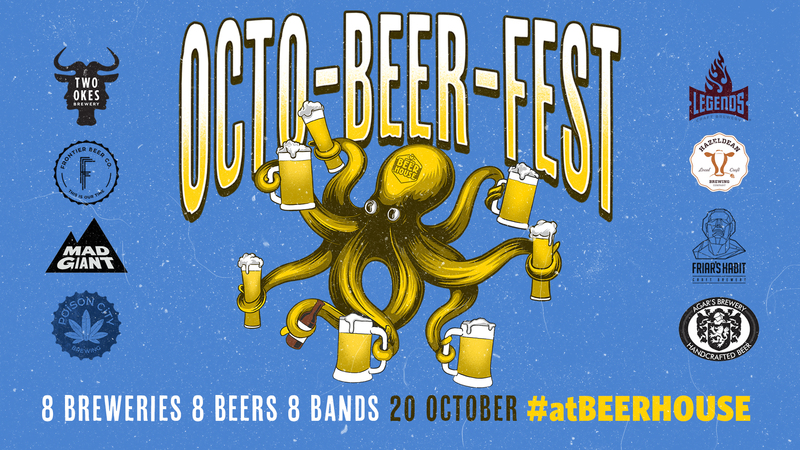 8 Breweries, 8 Beers, 8 Brewers battling for permanent taps at Beerhouse on Long & Fourways. Did we mention it’s all about 8. So we decided to throw in 8 live music acts. 8 Times the GEES. 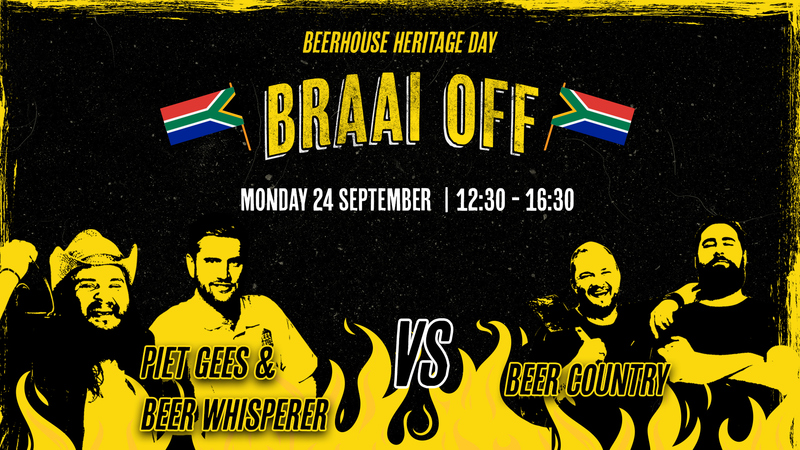 Forget The Ultimate Braai Master we have the Beerhouse on Long Heritage Day Braai Off. Piet Marais “Gees’ and Murray Slater the ‘Beer whisperer’ take on the might of Greg & Karl from Beer Country in a straight-shooting braai duel on the Beerhouse Balcony. We are proud to have hosted the South African National Beer Trophy (SANBT) awards at Beerhouse on Long last night. It was the who’s who of our great industry with representation from Macro and Microbrewing with some of our countries most talented and passionate brewers and beer lovers. 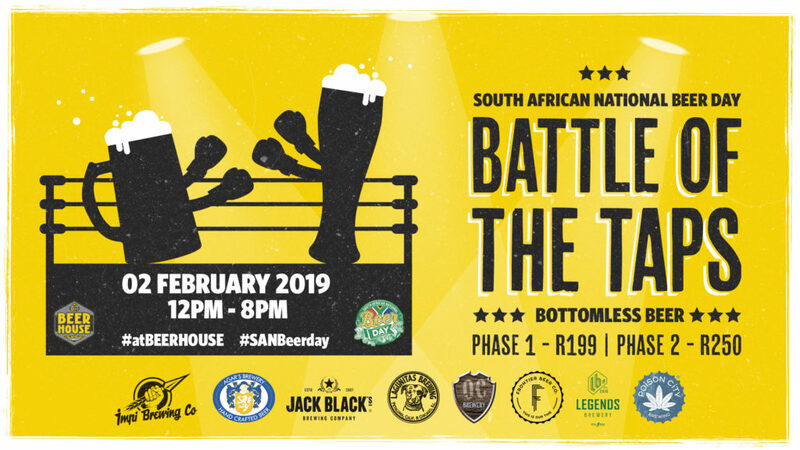 We are happy to be aligned with SANBT as it shares our philosophy of inclusivity with the only criteria that the beer is produced in South Africa. The beers that were entered were judged by 25 judges which include BJCP qualified beer judges, Somillers, celebrity chefs and a Cicerone. The competition has grown year on year with over 200 entries this year with a total of 20 gold medals awarded. This year saw a macro brewery enter beers with AB-InBev scooping a gold medal. This nod from macro gives the competition even more traction and authenticity and pits hundreds of years of expertise against a growing agile and innovative microbrewing industry. 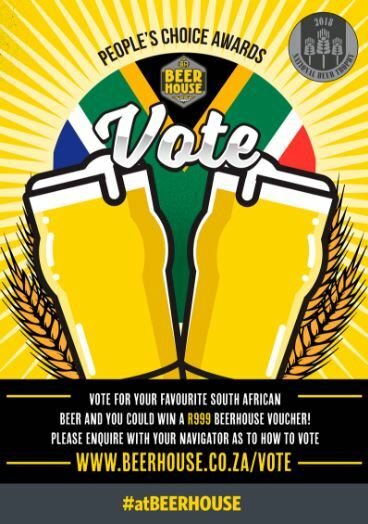 Once again Beerhouse ran the People’s Choice Award and gathered 1679 votes an increase of over 30% from its previous inaugural year in 2017. People voted for 169 different beers which highlights the variety of beers and taste preferences in SA with 64% of the vote going to microbreweries*. 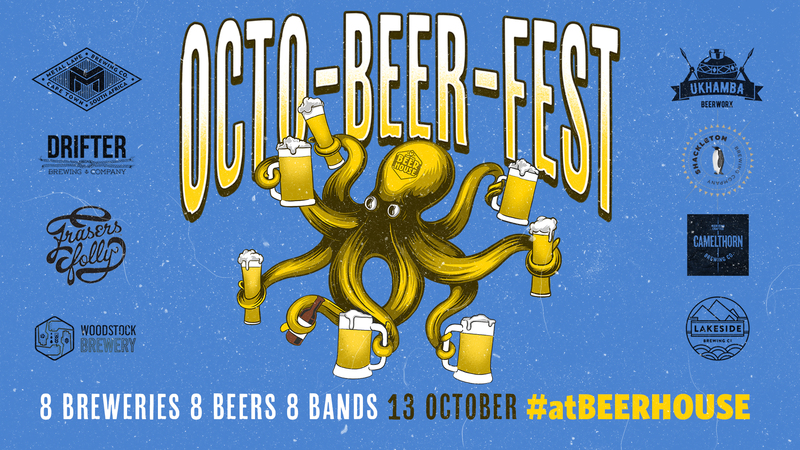 Votes were gathered via online and in-store at Beerhouse Fourways and Long Street. Last year when the winner Black Label was announced there was an air of deflation amongst the guest with boos being audible. It stirred up quite some discussion about the awards with myself making reference to the commercial cat being amongst the ‘craft’ pigeons at the awards ceremony. I also reacted to calls for macro-breweries to be excluded with “We live in a beermocracy in which we can’t just remove the populist ticket candidate” and “The value of choice can and should never be curtailed to counter the tyranny of the majority”. If we exclude big beer because it’s not our preference then “craft’ will live in a bubble of self-congratulatory ignorance. The People’s Choice Award 2018 went overwhelmingly to Black Label which reflects actual sales and volumes consumed in SA. Micro has a big challenge which is why are current times are so exciting. This year I was pleased to say there were no audible boos but rather a resolve to forge on and get on with the hustle. To quote Red Rock’s Alan Melville, ” we have no right to the consumer’s throat”, that micro needs to earn. I believe it will be a few years yet before Black Label is challenged for this award. That is the greatest prize, the people’s choice, as then you have evangelised the greatness of the world oldest and greatest beverage. Let’s get to it. Top 10 as voted for by the people. Votes gathered via online and in store at Beerhouse on Long and Fourways. BEER OF YEAR & BEST HOPPY BEER: AMUNDSEN BREWERY SA -INK AND DAGGER.